The loss of a loved one, whether it be friend or family member, is one of the most emotionally challenging events that we must face in our lifetimes. This certainly goes without saying, but many individuals are often surprised at the emotional state such an event can create. 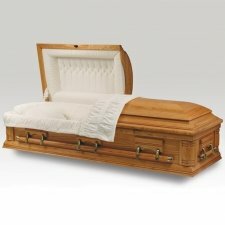 Even for those who were 'expecting' the passing, the actual loss is unimaginable, and our minds work from all angles trying to process the information. 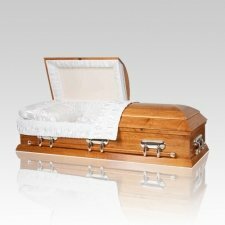 Many find themselves in nothing short of a state of shock, and it is unfortunate that, usually, shortly after the passing, many arrangements must be made and handled for the funeral service, among other affairs. This is why it is important to be informed of all memorial options at all times, but especially after the passing of a loved one. 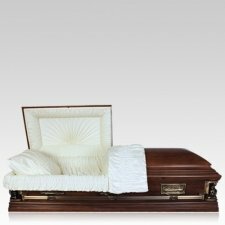 While many funeral homes offer memorial items, or even bundles, families are often surprised by the total sum, and not even aware that they are able to obtain these items from other resources, such as memorial websites. 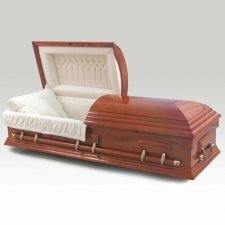 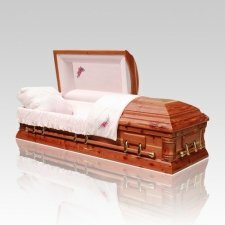 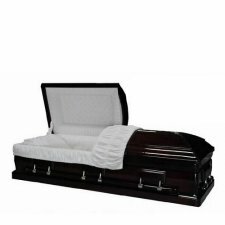 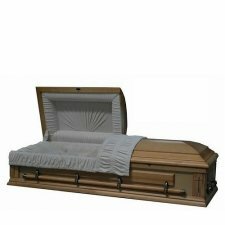 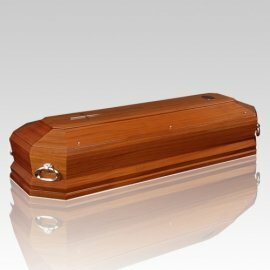 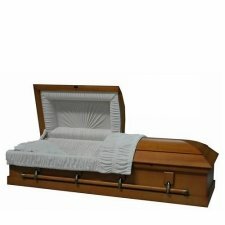 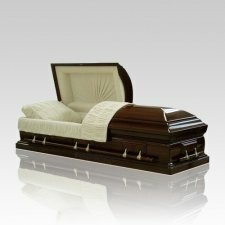 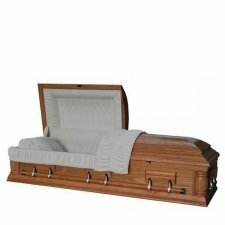 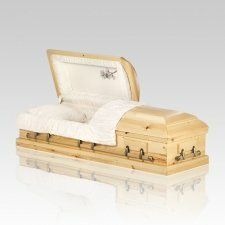 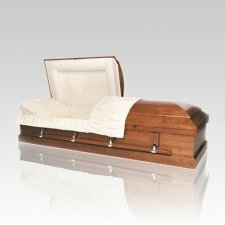 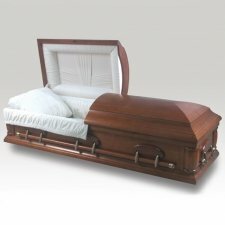 One of the items that no one considers available elsewhere besides the funeral home, are wood caskets. 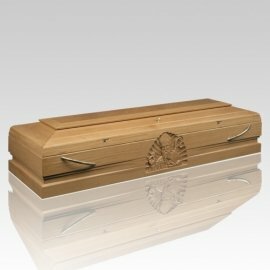 Wood caskets were once the most popular choice for the interment of a lost loved one, but that trend was quickly overshadowed with the manufacturing of metal caskets. 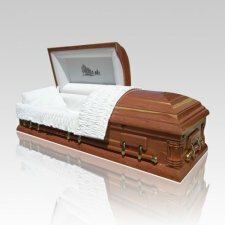 While metal caskets dominated the market for many years, their wood counterparts were not far in the shadows, and have become quite popular once again, especially in recent years. 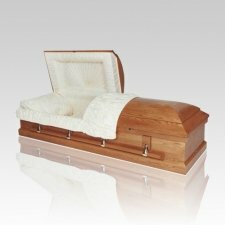 These wood creations are gaining popularity for the exquisite, natural appearance they can provide. Wood offers a look that is often completely unique, and the selection of earth tones offered by the material is nothing short of heartwarming. While many of the models are available featuring traditional shapes and accents, there are quite a few that exhibit breathtaking carvings and details. 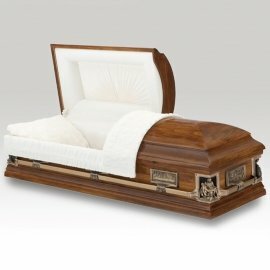 Just like any casket, the models feature both half-couch, and full-couch lids, and are adorned with gorgeous interior beddings, often made of crepe or velvet. 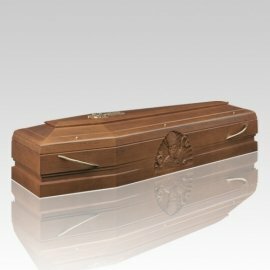 The exteriors offered are finished to show the natural patterns in the wood, or may even be lacquered for a bold, rich tone or glossy shine. 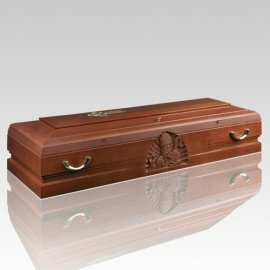 The traditional handlebars offer ease of handling, and the perfect final touch to what will be a befitting final tribute to a truly loved individual. 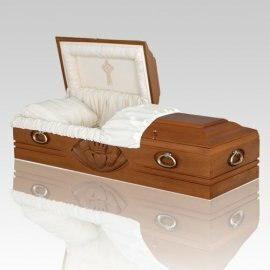 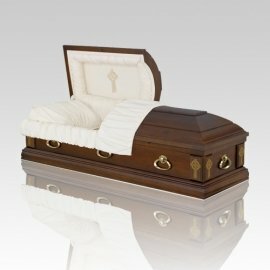 As mentioned before, many are not aware that they are able to obtain a casket from any other source other than a funeral home. 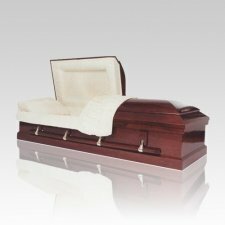 Again, we re-iterate the importance of being well informed in this area, in that often times, many of the caskets the funeral homes offer may be available elsewhere for substantially less. 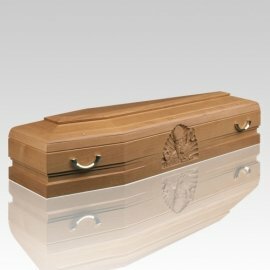 It goes without saying that no one wants to consider finances when thinking of the memorial service for a loved one, but for many it is a very important factor that must be well heavily weighed, especially when no trust or endowment care fund was left. 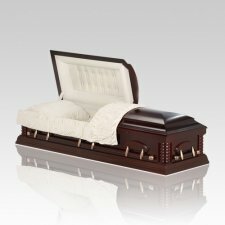 However, because one must consider the cost, does not mean they must also sacrifice in quality. 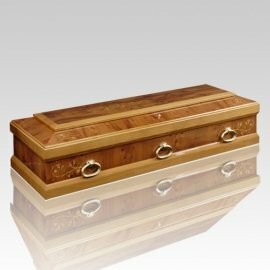 All of the wood caskets offered in this wonderful selection are truly made to the highest of standards to ensure that this final remembrance is as dignified as it is elegant.